Outdoor recreation is on the rise once again! With all that’s going on these days, and all the technological stimuli association with being a kid, there is nothing better than letting him/her get outside and play America’s most fun game! So if he does want to put down the phone for a few days this summer, and you are looking for a great baseball camp to put him in, we have identified our 3 favorite in Wichita Kansas this summer! Enjoy! And keep helping your kid have fun playing the game of baseball! From the Website: If you have a son or daughter interested in learning the game of baseball from some of the best local coaches around, get them signed up as soon as you can before all the spots are taken. Email scott@wichitawingnuts.com for details or go to our website and click here under the picture of the camp flyer to fill out the registration form and waiver. We are looking forward to having another great group of kids like the last couple of years. GO NUTS!! There is very little information about their camp coming in summer 2017, and their camps can be very unorganized. This may not be the most fun camp your kid will go to all summer, but you can be sure he/she will receive some great baseball instruction. We list the Todd Butler Baseball Camp as the #3 best camp in Wichita because there really is a lot of value in getting D1 instruction. Todd Butler is the head coach of WSU, one of the best D1 baseball programs in the state. There are tons of benefits to getting your kid top instruction as he grows into (hopefully) a great baseball player. American Baseball Camps is exploding as the #1 fastest growing baseball camp in America! We saw the overwhelming need for a camp like this in youth baseball to give kids the highest level training with constant encouragement & confidence building from coaches. Our high-level training features video swing & pitching analysis, analyzed from HQ by our team of highly trained Professional Baseball Players. Our confidence-builders include slip n’ slide baseball, home run derby, and more. One of the things that can set a great baseball player apart from the good ones is nutrition! 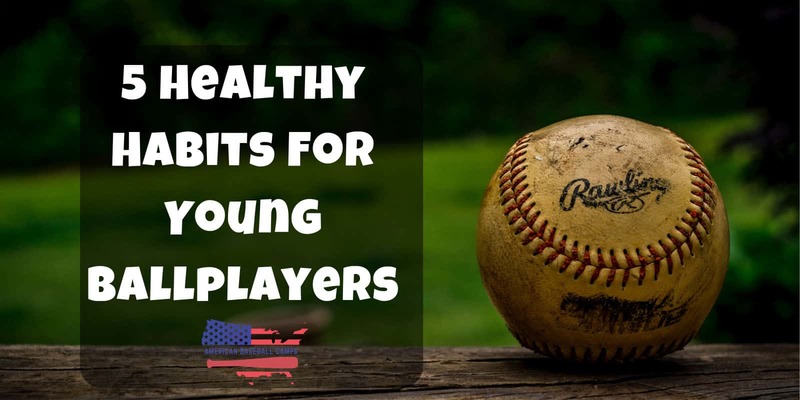 Good eating habits can make a young ballplayer feel better and play better! (study) The best season I ever had in baseball was the one where I started eating right. They talk about it so much in Division 1 baseball, I really wish I would have known about it when I was a young player. That’s why we’re calling it “building” good nutrition habits. If you can teach your young ballplayer to eat right now, he won’t depart from it when he’s old. This is that “being a student of the game” thing that we’re always talking about. Every great baseball program in the country insists on its players that they watch MLB games. Why? It makes you a better ballplayer. Imagine your kid being the smartest baseball player with the highest baseball IQ on the field. Imagine how much better that will make him if he’s mentally one step ahead of the competition. How do you do that? You watch the best players play on the biggest stages. Go to a major league game if you can, or if you don’t want to spend big bucks, seek out college games in your area. I was watching a my 13 year old cousin play the other day and he popped up to center field. Sitting by his mom she asked me if I thought his elbow was raised and that’s why he popped it up. BASEBALL PARENTS, I’ll tell you the same thing my division 1 coach tells us players, 99% of the time its not mechanical. Baseball lessons and an excessively growing industry of “hitting coaches” has got kids and parents thinking way too much about mechanics. Timing adjustments – This should be the primary purpose of the on-deck circle. If you were out front your last at bat (like my cousin was when he popped up), you should try to start your load later. Differences in velocity on the mound should dictate when you start your load. If your kid is consistently out in front or late on fast balls, just encourage him to start earlier or start later. Timing adjustments are the most effective, and easiest ways to not make the same mistake twice in baseball. Confidence adjustments – If your young slugger is lacking confidence, consider something different. At my D1 program they teach us the “octagon walk.” This is where you walk up to the plate with the biggest chest in the room and you hold the bat by the barrel as you walk. It is all about walking up to the plate with as much confidence as possible. Also look at helping him with his self-talk. Bad self-talk can be one of the biggest self-esteem destroyers for a young player. Build him up, and teach him to build himself up. Just remember, good nutrition will make your little leaguer feel better and play better. Watching high-level baseball will teach him Baseball IQ that will take away many of the mental mistakes that plague young players. And finally, encourage the right kind of adjustments during the game. Mechanical overload will kill a young hitter and it will fill his mind with the wrong thoughts. Instead, encourage him to walk to the plate with confidence, and focus on timing up the pitcher, rather than the mechanics of his young/unrefined swing. In my 19 years of baseball, I can’t believe I didn’t stop to appreciate my Mom. This tribute is to her, and every Baseball Mom that probably isn’t getting the recognition they deserve. Really quick back story about myself — Currently a senior at a historic division 1 baseball program. I cannot reveal my name or program for NCAA reasons. I recently got hurt, and started to reflect back on my career. — And so the post begins. 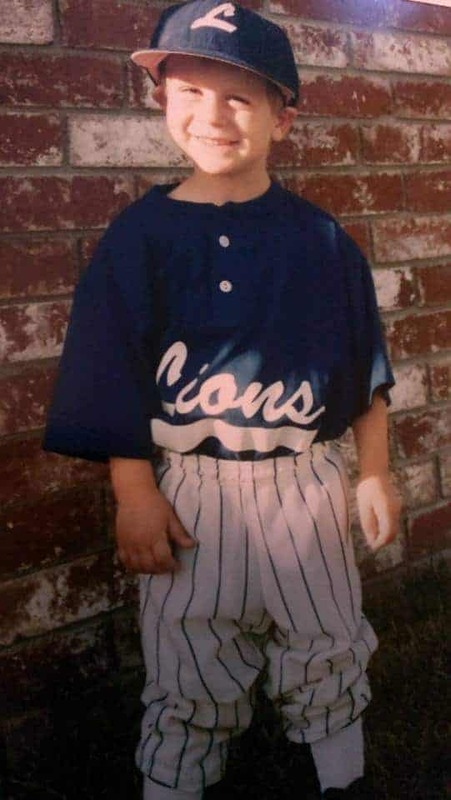 She’s not in any of the pictures, she was always the one taking them… But (Pictured) is me before my first T-Ball game in 1997. Guys, I really didn’t know what a roller coaster baseball was about to take me on! One of the things I most appreciated about my baseball Mom over the years was her consistency. This game can beat you down sometimes and my Mom was always there to pick me up. My dad was so up and down with all the highs and lows in baseball, as was I. But that can be hard on a baseball player in an emotional game like baseball. Through the ups and downs of baseball my Mom was happy, thankful, and content to just be with me after the game. You see where dad’s may be upset after an injury or a bad game, Mom’s are just happy to be with you, and happy that you called her to talk about the game. Which leads me to the next thing I was so thankful for, the support. Dad’s expect a lot out of their sons, and there’s nothing wrong with that. But in a game of failure those expectations are going to be let down an awful lot. I never got that feeling with my Mom though. My Mom was at the same amount of games as he was, she was repping our team colors just as much too. Yet, I never get the feeling like she’d be wavered in anyway by an 0 for 20 stretch. When a little kid messes up in the game of baseball, think about all the things that are going through his head. He’s mad at himself that he “messed up”, his self talk is probably harsh. His teammates are let down, his coach shakes his head. The other team is saying something to him as he runs back to the dugout. This is hard on a kid, trust me when I say this, its hard. And what happens from this is an unnecessary pressure that baseball players start to put on themselves. The fear of negative outcomes makes a kid think and expect things of himself he shouldn’t. That is where my Baseball Mom was huge for me. She was screaming just as loud saying “its okay” after a bad strike out as she was when I hit a home run. (Okay, maybe not quite as loud as a home run cheer but you get the point). She just took the pressure away. That was so huge for me, I can’t believe I didn’t realize it all that time. That overly positive, thinks their kid is the greatest, thing that Mom’s do — that’s actually extremely helpful. Confidence is so big in baseball. This is one thing that makes a naturally good baseball player great, and Mom’s are often times the reason kid’s have confidence in themselves. Baseball is a self-esteem destroying sport, so that boost that my Mom always gave me helped me to find a balance. Sure, the game humbled me, and it was hard to be “proud.” But I always believed in myself, and that was because of you, Mom. Even though I’m a “tough tough hard-nosed college baseball player”, I can admit that I got really sad sometimes playing this game. That hug after the game is what I’m referencing here, man was that huge. Mom’s are nurturing, and mine had the tendency to melt away sadness in those discouraging moments. I got mad a lot with baseball, I probably was a huge jerk there for a while and took a lot of frustration out on my Mom. Which just sounds horrible to me now, but it happened. I don’t know how my Mom stuck with me and didn’t slap me across the face but she did it! She stuck with me. Rude, thought he knew everything, me. Mom, I love you and I couldn’t have went this far in the game of baseball without you! Even though you had to know that I did, sorry I didn’t tell you how much I appreciated you until I was 23. You were there for me when the game got me down when I was 4. Just as you were when the game knocked me down when I was 23. And I thank you for all the things you did in-between. Baseball Moms everywhere are loving American Baseball Camps for their kids! D1 instruction from the D1 Players with an emphasis on encouragement! According to a Children’s Lifestyle study at the University of Chicago, children perform better mentally when they get the appropriate nutrition. Young players and parents of young ballplayers don’t realize how important mental performance is in baseball. Food can be fuel for a young ballplayer. I didn’t start eating healthy until my Junior year of college at the D1 level and I will tell you that it was my best year. You don’t get tired as easily, and your brain is sharp when you are putting the right things in your body. Baseball is more mental than you think, eating healthy could give your kid an edge over the competition. I know that the new thing is participation trophies and everyone is a winner, but I think that kind of mindset can hurt a young ballplayer. Mistakes and failure can be very productive if a kid can learn from them! The kids that were able to learn from their mistakes were the ones that were the most successful growing up. Even at the D1 level this can set a player apart. Why make the same mistake twice? Why keep swinging at curveballs in the dirt when it is the only place the pitcher is throwing his curveball. Mental adjustments and being able to learn from mistakes can set a young player apart. According to The Sleep Foundation kids aged 5-12 need 9-11 hours of sleep per night. Sleep has many implications in athletics. Players that get the appropriate amount of sleep are more sharp, they have quicker reflexes, and they have greater stamina. This could set your young ballplayer apart in that final inning when the rest of the team is yawning up a storm. Exercise doesn’t have to be lifting weights! Young ballplayers that exercise daily can set themselves apart. Remember, the average kid aged 5-12 spends 6.5 hours a day looking at their phone, this cuts into the natural athletic development that occurs when a kid exercises. 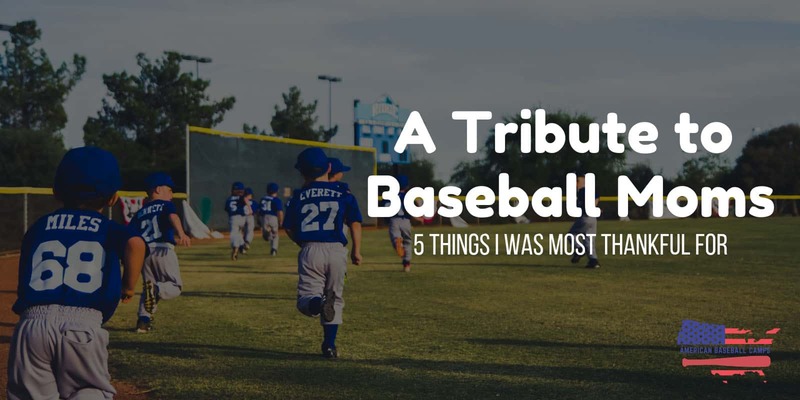 Want your kid to be the most athletic one on his little league team? Here are some fun things that build muscle & athleticism — Racquetball, tennis, basketball, jump rope, wall-ball, relay races with friends, swimming, boxing, sit-ups, push-ups, grippers, ladders, box jumps. One of the most healthy habits to develop as a young baseball player is to realize that baseball isn’t everything. 70% of ballplayers are out of the sport by 13 because of the pressure. Something my D1 coach always used to say is: “pressure is something that you put on yourself.” Your young ballplayer has a choice whether he cries or not everytime he strikes out. One of the best ways to avoid that kind of feeling when you fail in baseball is just to consciously realize that baseball isn’t everything. The popular marketing term of “no days off” can be a toxic mindset. There is way too much failure in this game to rely on it and spend everyday thinking about it.